As you may have heard, Amazon is helping Chinese sellers sell on its platform. However as the Chinese saying goes “With crisis comes opportunity”. I’d excited to share a guest post written by the good folks at Skubana who share how Amazon is helping Chinese sellers and how to compete in spite of that. Skubana is an all in one solution that unifies everything you need to run your business into one easy to use platform. From inventory and order management to purchasing, and fulfillment to analytics, Skubana has it all so you can build your business and become a success. eCommerce has long been a global practice. But with leading e-retailers like Amazon making it easier than ever to sell directly on their platform, this globalization of online selling has enabled merchants to access consumers directly no matter where they live, and thus cut out the middleman of traditional supply chains. And, while this may seem all well and good for customers looking to get the best deal on their favorite products, the internationalization of online selling pits online vendors against one another, making it harder than ever to succeed. One of the biggest problems plaguing the eCommerce industry is the rise of Chinese seller success on the largest online retail platform around, Amazon. Thanks to Amazon FBA, and a whole host of other advantages, sellers are finding that the Chinese are not only able to cut costs when it comes to manufacturing their products in their native country, but also forgo having to work with anyone other than Amazon to store, package, and send out their products. If you’re an Amazon seller feeling the impact of Chinese seller success, and are wondering how it’s happening (and what can be done to fight back against it), you’re in the right place. Today we’re going to look at how Amazon caters to Chinese sellers, and what you can do to make your mark and compete against these e-retail rivals. How Does Amazon Cater to Chinese Sellers? There’s no denying that Chinese manufacturers are good at what they do. After all, they have years of exporting experience and a deep knowledge of what’s being sold, how much it’s going to cost to make, and where the best market is to sell each product. That alone is enough to make competing against Chinese-based sellers on Amazon hard to do. But there’s a lot more to it than going up against manufacturers with decades of experience. In fact, there are several things Amazon does to cater to Chinese sellers, thus aiding their growth and hindering everyone else. As a result, even big name brands are finding it increasingly hard to compete and succeed. The concept of direct-to-consumer, where brands cut out the middleman and sell their products directly to consumers, led the way for the factory-to-consumer concept to evolve. Manufacturers across the board (and the globe) saw how easy it was for sellers to use Amazon’s Fulfillment by Amazon (FBA) to sell products right to customers without having to employ the help of a third-party warehouse storage facility, a packaging company, or a delivery service. Instead, online sellers were selling items and letting Amazon handle the rest: packing, shipping, and even customer service. As the most competitive manufacturing nation in the world, China is now able to avoid problems associated with finding American companies to do business with in order to fulfill their customers’ purchases. Instead, they just take matters into their own hands, use Amazon FBA, and sell directly to their customers. Using Amazon FBA, Chinese manufacturers can cut costs on their end (and lower retail prices) so they can sell the same products for much less, while still generating more revenue than everyone else. Sales Tax. As a United States seller, you know there are many rules and regulations to follow. One of the biggest ones is that you have to charge sales tax for every item you sell and pay the IRS your dues. In China, there is no such thing as sales tax, which makes prices lower for the consumer, increases product sales, and boosts Chinese sellers’ bottom lines. Shipping Rates. Amazon seeks to be a leader in the eCommerce industry worldwide, not just in the United States. That’s why offering incentives, such as lower overseas shipping rates, have been enacted to encourage people in countries such as China to sell on Amazon. After all, every sale (no matter where it happens) generates Amazon revenue. 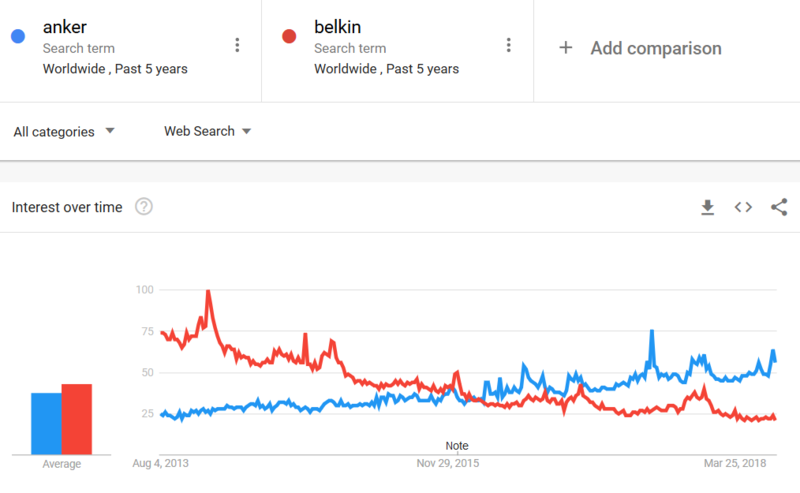 So, the more people they can get selling on their platform, the better. Did you know it’s cheaper to send a package from China to the United States than it is to send it domestically in the United States? Well, it is. That said, here are some insider tips for saving you money. Easier Shipping Process. In 2015, Amazon helped Chinese sellers looking to sell directly to those in the USA, Canada, and Europe by registering with the Federal Maritime Commission. This helped lower the cost of ocean freight, and streamline the shipping process, so products could be shipped overseas efficiently and at a low cost to manufacturers. Chinese Support. Amazon’s management system, Seller Central, comes in a Chinese-language version, making it easier for Chinese sellers to navigate Amazon’s platform. They can also access Chinese-speaking support staff. Lower Taxes. There is no such thing as income tax in China (because the Chinese government wants to facilitate global trade), again increasing profits and opening up more opportunities for the Chinese to dominate the online retail space. As you can see, eliminating the need for traditional supply chains, and instead using Amazon FBA to handle everything, Chinese sellers not only save on overall costs, but make more money by offering cheaper products for customers to buy. Amazon’s system of listing like items on product pages keeps things organized, reduces duplicate listings, and gives consumers a chance to compare similar products. Unfortunately, this has caused many issues when it comes to counterfeit items. Though Amazon does not actively allow counterfeit items to be sold on their platform, the truth is, it happens. According to OECD, over 60% of the world’s counterfeit products originate from China. It’s even suggested that 40% of their own domestic online marketplaces are made up of counterfeit goods. And what about Amazon customers? Knowing the difference between a real brand and a counterfeit one can be tricky for some consumers, especially when the original brand hasn’t taken the right measures to protect their brand and verify their brand for people who land on their Amazon page. Not to mention, if an Amazon seller uses Amazon’s fulfillment centers, there’s a good chance the FBA stamp of approval will be on their product page, make it even harder for unsuspecting consumers to tell the product is a fake. After all, if Amazon supports it, how could it be counterfeit? In their quest to be the most cost-effective online shopping platform in the world for any product imaginable, some critics feel Amazon hasn’t taken a hard enough stance against the influx of counterfeit items that find their way onto hard-working, rule-abiding Amazon seller pages. This, paired with the fact that Amazon continues to court Chinese sellers, and generate tons of revenue off all products (counterfeit or not), makes it extremely difficult for non-Chinese sellers to succeed. In response, let’s take a look at how you can compete with Chinese sellers, despite the odds being against you. Once you develop strong relationships with your customers, you can bet they won’t be as likely to buy from those undercutting you with lower prices (and notoriously cheaper materials). In fact, customer loyalty on both Amazon and your own eCommerce site can go a long way when it comes to pushing ahead of the competition. Focus on encouraging customers to leave positive reviews on your Amazon page. Not only will this help your Amazon rankings and draw more traffic to your product page, it will show new customers you’re a reliable brand that can be trusted. With Amazon trying to crack down on fake reviews, your focus on legitimate, positive reviews will make a huge difference in the long run. In addition, regularly monitor your Amazon reviews for a sudden influx of negative ones. Oftentimes Chinese manufacturers selling similar products that don’t match your quality of craftsmanship can drum up a ton of negative reviews that will end up on your product page too. If you notice this happening, make sure to take a proactive approach and report it to Amazon immediately before your brand, and reputation, are destroyed. If a customer comes to Amazon looking to buy a product, with no intention of buying a specific brand, which product do you think they’ll end up purchasing? If you guessed the one with the lowest price or the most reviews, congratulations, you win. While beating out the lowest price every time isn’t possible, it is possible to build your business to be more than just a product with a logo. Instead, you can build your business to be a product, with a logo and reputable brand to back it. 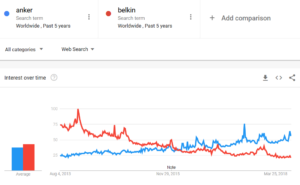 When you do this, like Anker has done successfully against their competition Belkin, you can increase consumer interest in your brand and your products and become the leading seller. Using the power of Amazon, as well as the power of the internet as a whole, is a great way to increase brand awareness and acquire customers that want what you have to offer despite there being similar products at a much lower price. If you do a little research, you can easily find items that are similar to yours that are selling well on Amazon. From there, you can make improvements on your product, adjust the price to be more than competitive, and start selling. …Anker created the Eufy Genie, keeping all the features the same and offering it at the even lower price of $34.99. Because Anker has done so well to brand itself as a reliable and trustworthy brand, not only on Amazon but across the web, this copycat product has done extremely well. After all, they didn’t just rip a brand off and manufacture it as cheaply as possible, which is what a lot of Chinese sellers do. They took a best-selling product and applied their expertise to make something better and more cost-effective that customers love. Selling online is a great venture to get into. 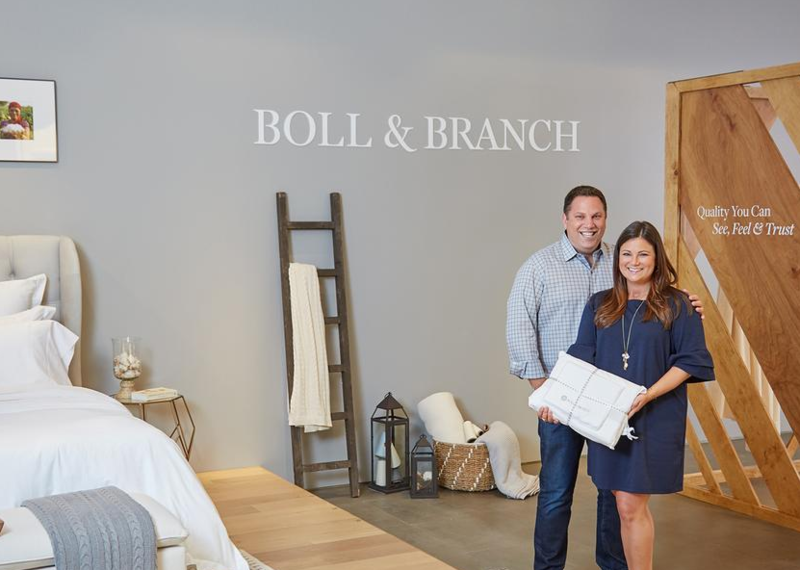 But an even better venture, especially when competing against Chinese sellers on Amazon, is to open up a brick and mortar shop to complement online sales. 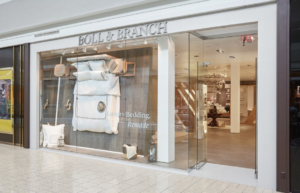 When local customers can come to your retail shop in person and check out what you have to offer with a hands on approach, they get a better idea about your company as a whole. They’ll feel more confident in what they’re buying because they can see it in real life and even touch it. They’ll also be able to interact with employees that are knowledgeable about your brand and specific products, which makes you seem more professional and reliable. 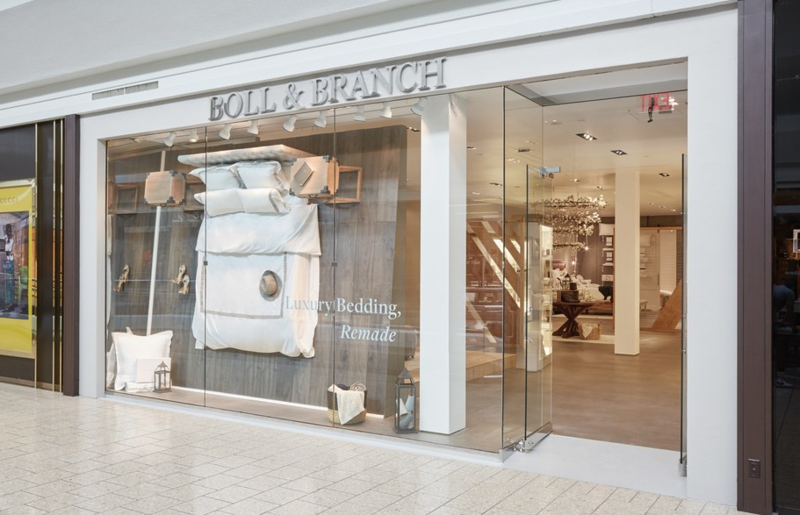 Take for instance Boll & Branch. Up until 2017, they were strictly an eCommerce shop selling their products at an alarming rate to online customers. So, they set up a brick and mortar shop and are pushing more sales than ever before. Aim to connect with your customers on a whole new level by opening up a retail shop in town. Once they buy from you in person, you can then rely on those that don’t want to come into your store all the time to buy from you on platforms like Amazon because they’ll be loyal customers by then. Not to mention, you’ll save some money selling in-store because you won’t have to deal with online sale logistics, shipping, or returns. Never underestimate the power of people in your industry that have large followings and can help expose your brand to a broader audience. For example, take a look at Kim Kardashian, who is known for her millions of followers on Instagram. 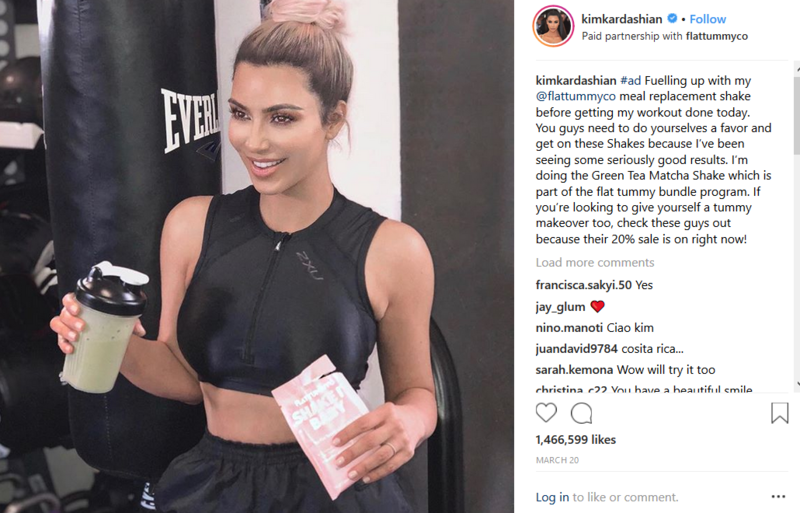 Promoting Flat Tummy replacement shakes to all her followers, and raking in nearly 1.5 million likes, you can easily see how this eCommerce brand is benefiting from her reach. Understand Your Target Audience. If you want to hand over the process of promoting your brand to someone else, it’s crucial you have a thorough understanding of your target audience. Know their pain points, how you can solve them, and what they’re looking for in a brand. Plus, make sure the influencer you’re working with has a following that will be interested in what you have to offer. Find Reliable Influencers. Use tools like Influence.co to find people that are within your industry that are willing to promote your brand. Sort influencers based on demographics and social media platforms and recruit only those that will help you succeed. Reach Out To Your Top Choices. After monitoring your top choices to see how they interact with their own audience, it’s your turn to reach out to them and see if they want to work with you. Set up interviews and ask them how they feel about your business, what they’ll do to promote it, and how they’ll handle questions and concerns. After you have an influencer that has agreed to help promote your brand, set up a campaign to track their actions and your company’s success. Getting involved in influencer marketing is a great way to generate natural traffic and sales of your products. It’s also a great way to get ahead of Chinese sellers on Amazon that are too concentrated on outselling you within Amazon to think outside of the box and promote products outside of the Amazon platform. The reality is, Chinese sellers on Amazon aren’t going anywhere. In fact, international competition itself isn’t going anywhere, especially because Amazon continues to cater to global manufacturers and sellers because they too want to maintain their status as the number one global online retailer. That said, you can step up your game and beat out the Chinese sellers threatening to take away your sales with cheaply made knockoff products. By forming a deeper understanding of your target audience and the market as a whole, you’ll be able to establish yourself in the midst of the competition as a reliable brand that can outperform any competition, regardless of price. So, aim to forge strong relationships with your customers, sell nothing short of high-quality products that people will be willing to pay for, and even consider expanding your business outside the borders of Amazon if you want to continue to grow and succeed. Because in the end, most Amazon sellers, Chinese-based or not, are simply not taking the time to do these things, leaving opportunities for you to become the leading seller wide open. Speaking of Skubana, co-founder Chad Rubin, is one of the speakers at the 7 Figure Seller Summit. He will be sharing “How to Systemize and Automate your e-commerce business in a way that can 4x what you make and keep… even as a one-woman show”. Chad is a top 250 Amazon seller and grew his e-commerce business from 0 to $20 million dollar valuation in just 7 years. Check out his session on Aug 13th by getting your free pass (limited time) to the summit here. Amazing! It is very a useful article for Amazon sellers. Good Job!